The Graduate Development Programme places successful candidates on a rotational development plan within the various divisions of the Sub Sahara Africa Express business and provides a combination of structured learning and workplace experience. Graduates will be given a 12 to 18 months contract. At the end of the contract, graduates who meet DHL’s recruitment requirements and apply for an available vacancy may be placed in a permanent position. DHL is decisively positioned as “The logistics company for the world”. At DHL Express, motivating our people is priority number one because we count on every one of our motivated Superstars to deliver great service and drive our “Insanely Customer Centric” culture. Would you like to be part of the most international company in the world? Would you like to be part of a business that connects people across the globe? Do you want to make a difference? 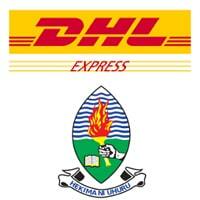 Grab this opportunity on the University Career Fair by visiting our DHL Tent at the University of Dar es Salaam on Tuesday 4th December 2018, please come with your Curriculum Vitae and meet our team.